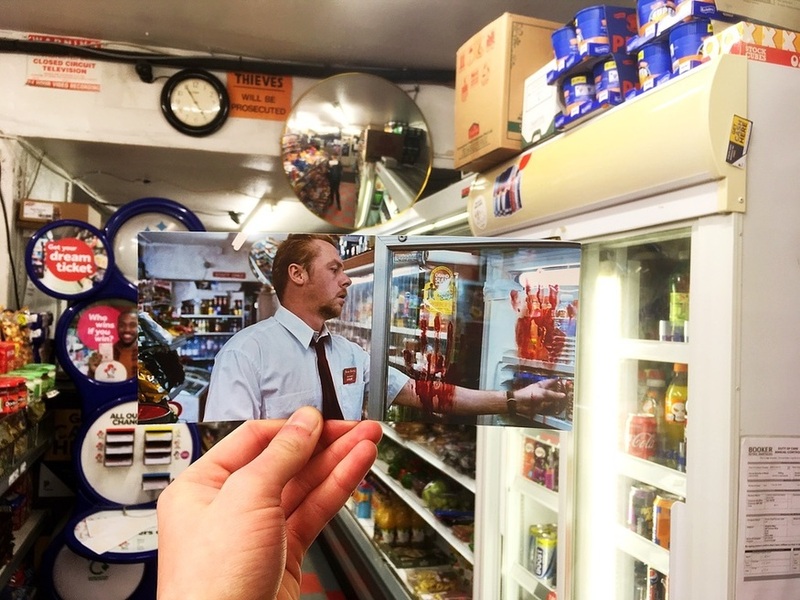 Remember that Cornetto scene in the corner shop from Shaun of the Dead? The cheesy "How do I get to Greenwich?" line from Thor? 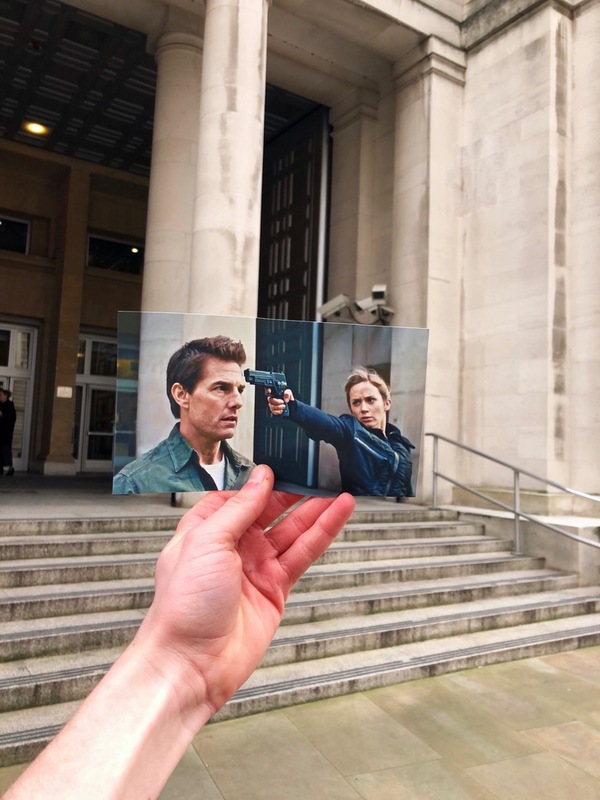 Artist Thomas Duke has visited around 150 film locations — many of them in London — lining up stills from the movie, with its original backdrop. Sometimes, he takes entire days doing just one film. "How do I get to Greenwich?" Says Duke, "The biggest mistake from Marvel: misrepresenting the London Underground! 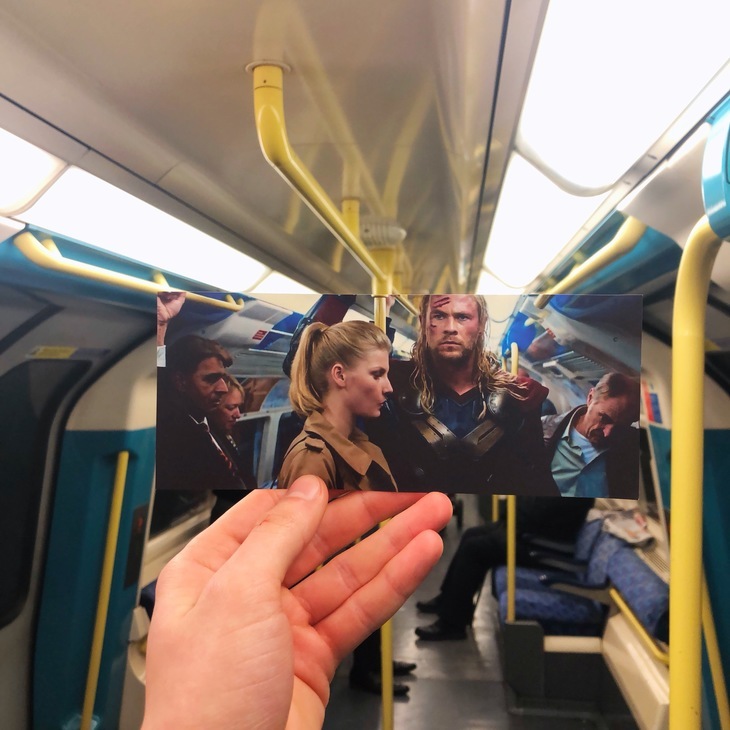 Thor boards the train at Charing Cross station and is then told it’s ‘three stops’ to Greenwich. Any Londoner will know how painfully wrong that is. Even so, it’s still a bizarre and nice little homage to the world of London as is the rest of the film." 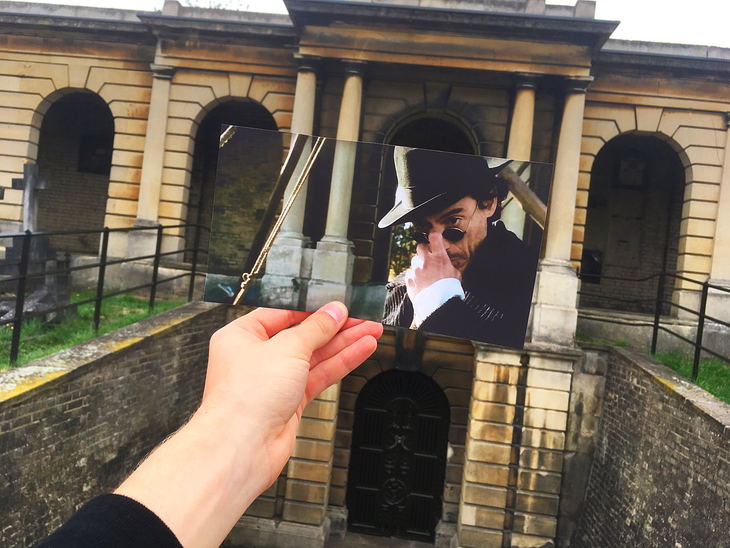 Brompton Cemetery, where this scene from Sherlock Holmes, starring Robert Downey Jnr was set. 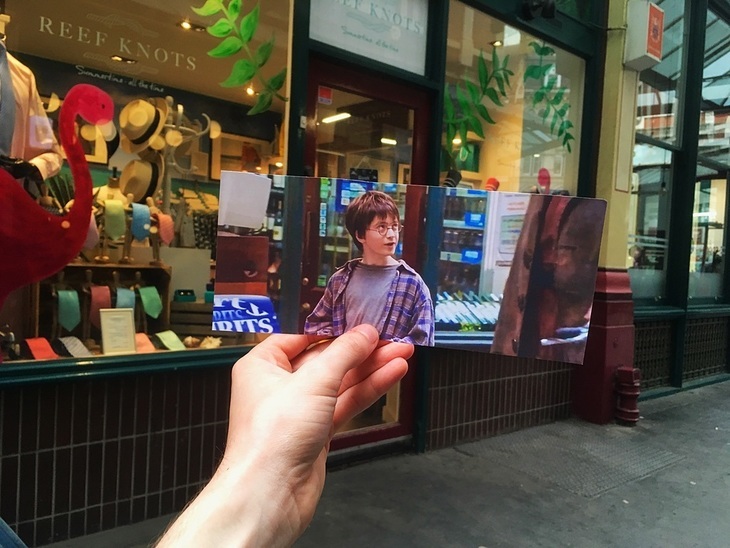 Harry Potter and the Philosopher’s Stone, shot at Leadenhall Market in the City. "The entrance is now an opticians... but the structure is certainly still there!" Benedict Cumberbatch in Doctor Strange. 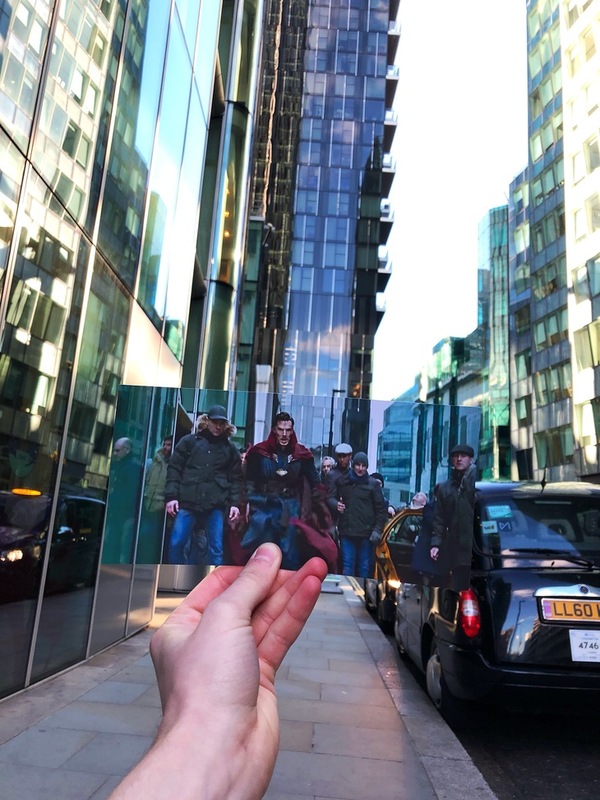 "I really couldn’t wait to take this shot when I found out the scene was shot in London — it’s Manhattan in the film — I thought the stretching buildings could look really effective. That’s why I decided to change it up a little and take a portrait version instead of my usual landscape." 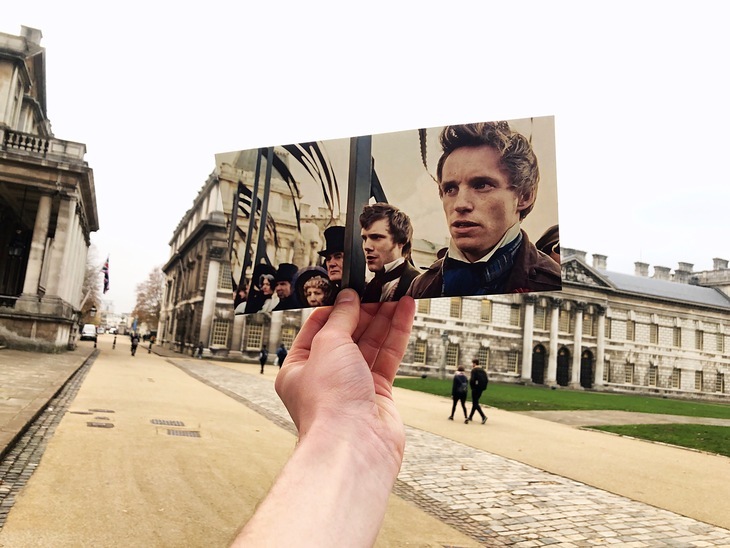 Les Miserables, part of which was shot at Greenwich's Naval College. 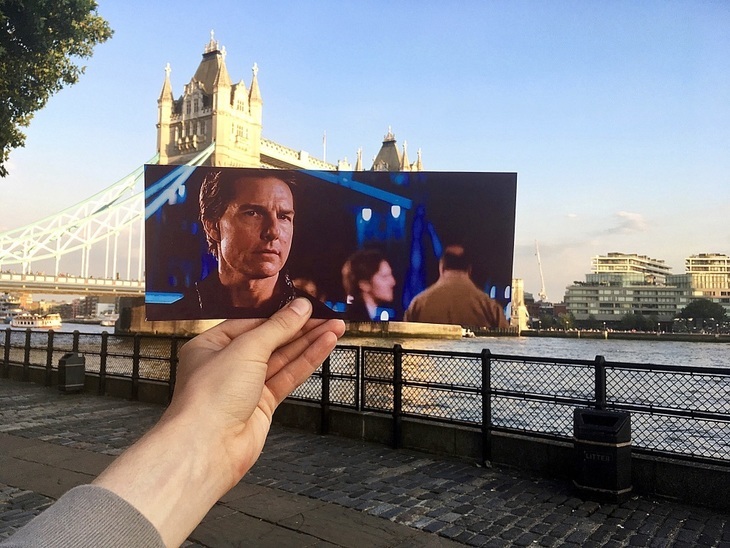 Tom cruise in Mission: Impossible Rogue Nation, shot in front of Tower Bridge. "It’s a truly classical look at the spy genre and its vintage flare shines through every crack and crevice." 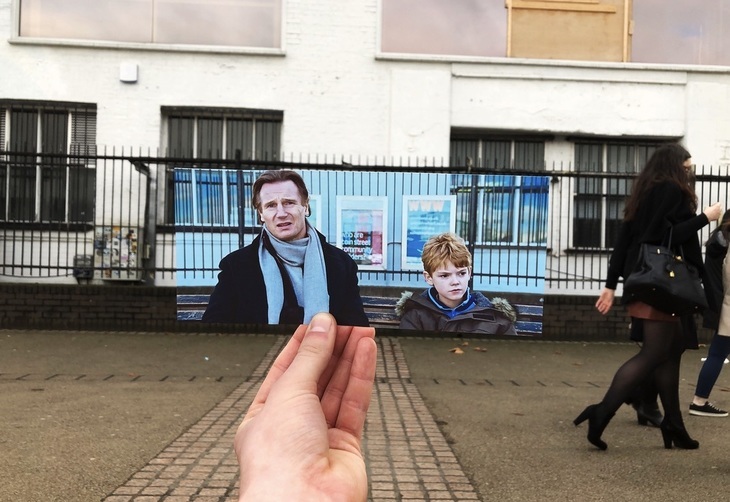 Liam Neeson and Thomas Brodie-Sangster in Love Actually, shot on the South Bank. 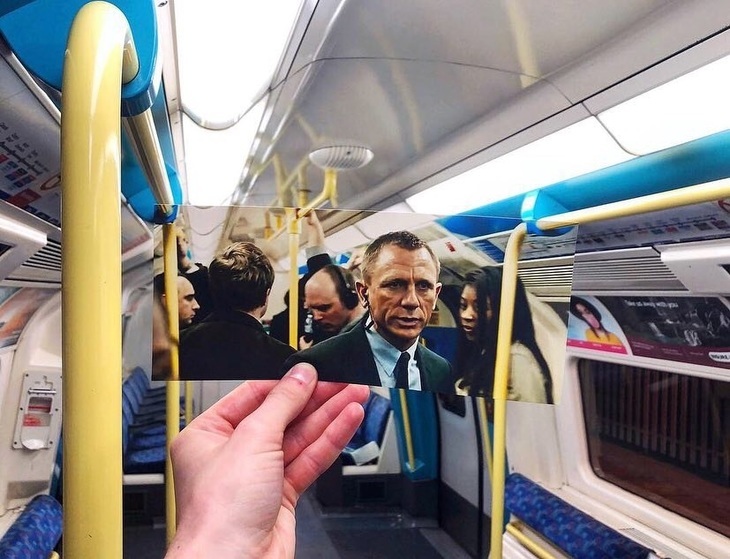 Another Jubilee line train, this one used in Skyfall. "It took a while to find the right tube train… but thankfully through a little sense I found that the Jubilee line was the right match. Not every train had yellow poles though so I had to wait for the right one… patience is a virtue! After that it was just a case of waiting for the train to stop at each station so I could hold steady and line it up accurately!‬"